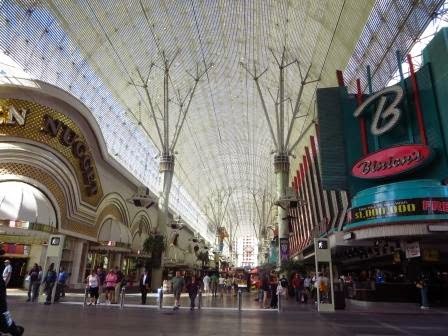 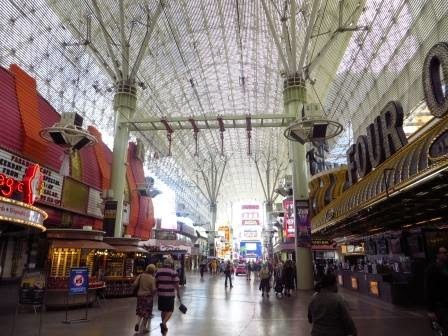 This morning I took the bus downtown and checked out the Fremont Street Experience, which is a pedestrian mall and attraction and occupies the westernmost five blocks of Fremont Street. 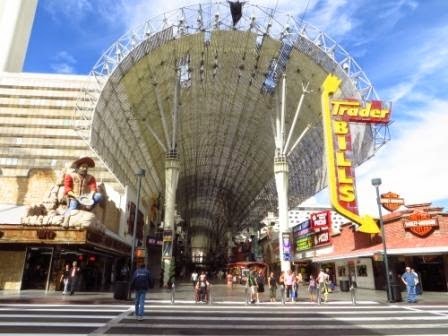 Fremont Street had Las Vegas' first hotel (the Hotel Nevada in 1906, present day Golden Gate), first telephone (1907), first paved street (1925), first Nevada gaming license (issued to the Northern Club) first traffic light, first elevator (the Apache Hotel in 1932) and the first high-rise (the Fremont Hotel in 1956). 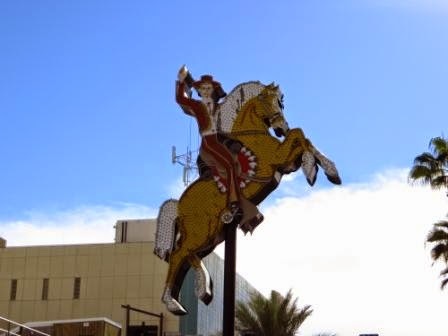 The Horseshoe was the first casino to install carpeting, while the Golden Nugget was the first structure designed from the ground up to be a casino. 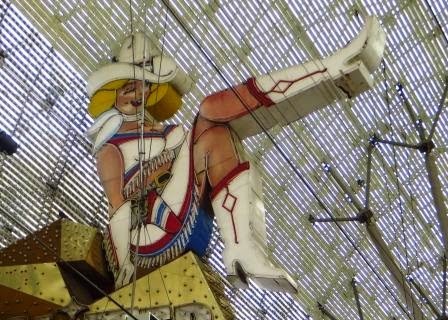 For many years, the western end of Fremont Street was the area most commonly portrayed whenever producers wanted to display the lights of Las Vegas. 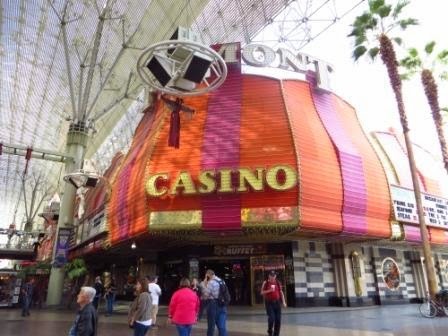 By 1992, 80% of the Las Vegas casino market was on the Strip. 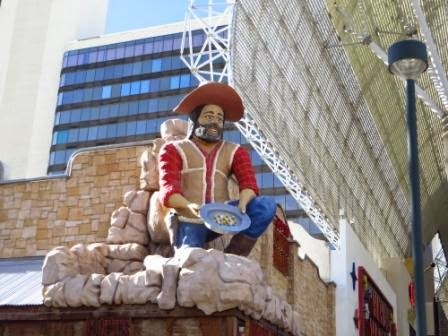 Downtown Las Vegas hotels and casinos sought to build an attraction that would lure more visitors to their businesses. 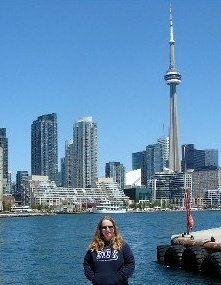 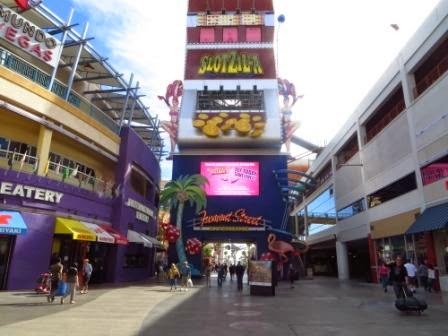 In addition to casinos and restaurants/bars, there are lots of stores if you are looking for souvenirs, sunglasses, hats, jewelry, etc. 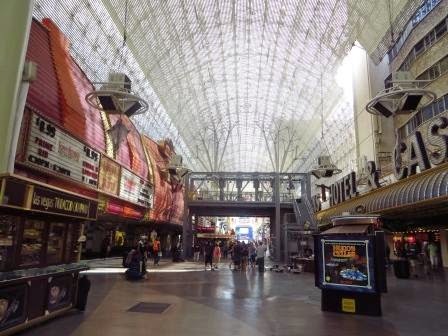 The free Viva Vision light shows (the Viva Vision canopy is the world’s largest video screen) at night are apparently amazing! 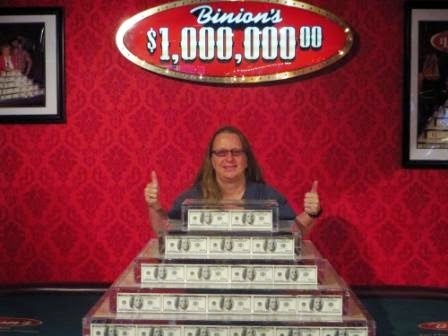 That's me and a million dollars! 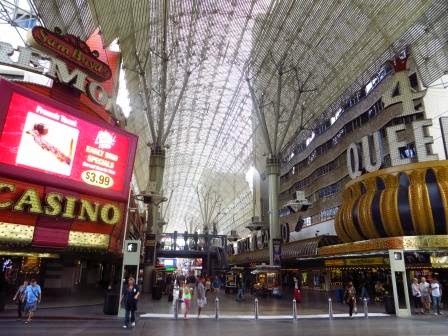 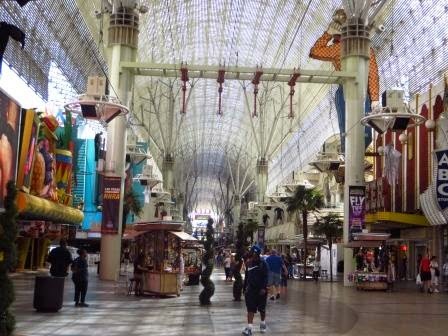 When I was in Vegas with my ex husband, we checked out Fremont St. 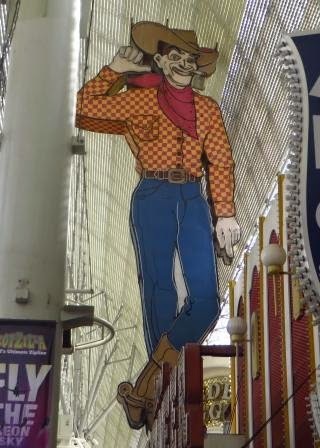 I thought it was really lame.